Looky, Looky, Giuseppe Zanotti may have some cheaper competition. The inexpensive brand, Qupid Finder has a pair of platform wedges that’s almost identical to Giuseppe Zanotti black and white striped wedges. 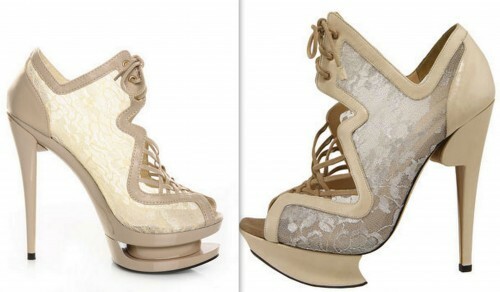 Those wedges were a fan favorite for many celebrities, especially Keri Hilson. 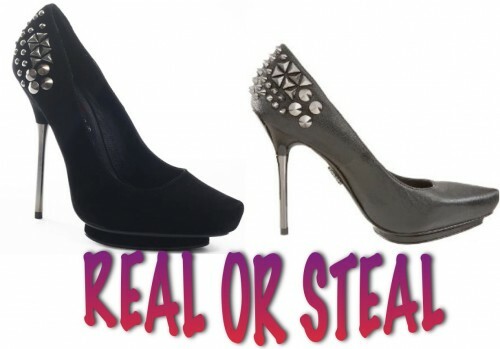 REAL OR STEAL: This time it’s Steve Madden verses Yves Saint Laurent. Yves Saint Laurent has the Tribtoo Cap-toe pump, which is a favorite among celebrities. Jennifer Hudson and Brandy were both recently spotted in the pumps. Steve Madden’s Beautey pumps look exactly like the Yves Saint Laurent stiletto, but for a fraction of the cost. 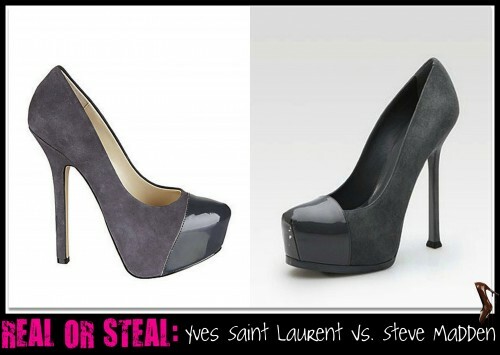 The Steve Madden pumps retail for $129, while Yves Saint Laurent’s Tribtoo Cap-toe pumps will set you back nearly $800. It’s been a while since we’ve done a ” Real or Steal” post, but when I saw the Privileged Sydney booties, I immediately thought of the Nicholas Kirkwood sandals. 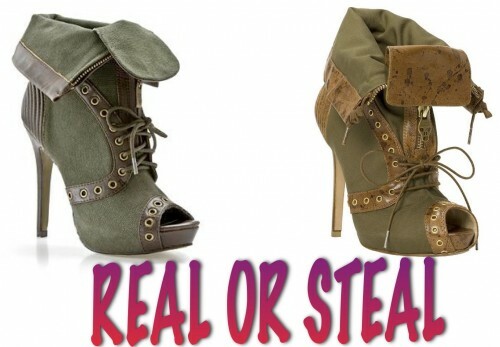 The two look very similar, but one of these shoes cost nearly12-hundred dollars, while the other is only $49 dollars. Both shoes feature a lace upper, a criss-cross suede pattern, and shoe laces. 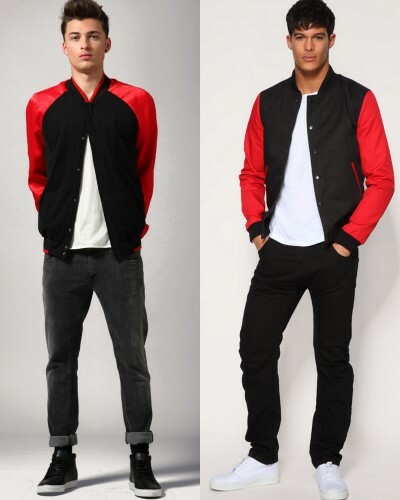 So, which is the REAL, and which is the STEAL?